REFRESH, RELAX and UNPLUG on a peaceful holiday as we take you into some of the most remote and strikingly beautiful terrains Montana and Idaho have to offer. Explore the 1805-06 Lewis & Clark Expedition through the lens of the Nez Perce and Lemhi Shoshone people, whose friendliness and resourcefulness was instrumental in the success of the white strangers’ mission through these areas. You’ll read segments of the Lewis & Clark Journals on location and hear oral history from a relative of Chief Joseph and descendants of Red Bear (Nez Perce) and Sacajawea, and Chief Camehwait, and Chief Tendoy (Lemhi Shoshone) handed-down through the ages. Come join our fun as Odyssey Tours enters its 20th year taking you on a unique vacation that will change your world. Learn what is included in your all-inclusive tour package. 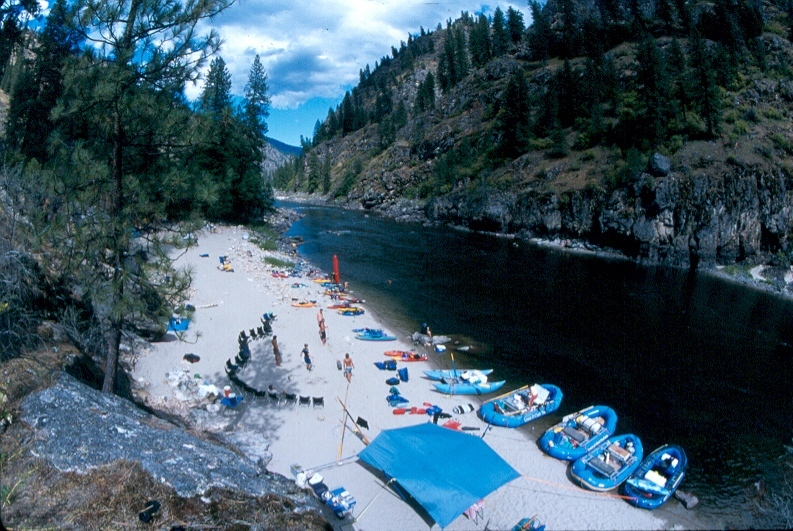 5 1/2 days floating, 5 nts camping in the largest nationally protected Wilderness Area” in the lower 48 - and the longest free-flowing river in one state. Known for it’s large white sand beaches, deep river canyons and deep swimming pools. Float past history and stop in for a visit at active off -the-grid homesteads along the Salmon (River of No Return). 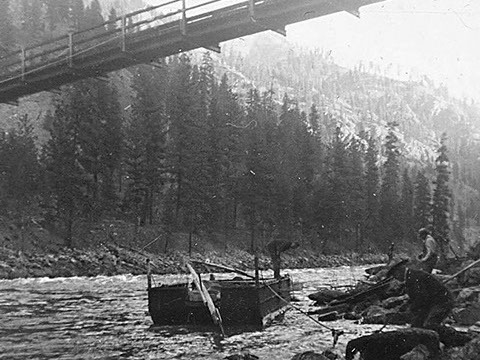 Learn about the characters of the past that lived off the land in the Salmon River backcountry of Idaho. Nez Perce Native American historical interpretation and storytelling by Nationally acclaimed Nez Perce gentleman scholar Allen Pinkham The Nez Perce where noted as one of the most friendly of the tribes L&C encountered. They were instrumential in the success of Corps of Discovery’s survival and facilitated numerous times their reaching their goals to reach the Pacific and return home. You will visit several L&C and Nez Perce sites and learn about the meeting of these two cultures with oral history handed down to Allen. Lemhi-Shoshone Native American historical interpretation, a musicical presentation, an activity with our hosts, and a traditional meal prepared by our Lemhi-Shoshone friends. The Lemi-Shoshone were instrumental in outfitting L&C with horses to traverse Lost Trail Pass and the Bitterroot Mountains - extreme barriers to reaching the Pacific Ocean. You will meet and learn from Rose Ann Abrahamson, a descendant of Chief Camehwait (Sacajawea’s brother), and Chief Tendoy. Rose Anne speaks fluently in the Lemhi Shoshone and Bannock languages. She has a convincing argument why her aunt’s name is pronounced “Sacajawea” not “Sacagawea.” And you will meet another descendant of Sacajawea’s people who will play traditional songs for you in the evening, and you will dance under the galaxy of stars in Idaho. Imagine sitting in the center of a national forest, on a rock with the untamed Lochsa River flowing over your legs. You reminisce how quick your week went, how amazing it was to meet relatives of Chief Joseph and Sacajawea (Sacagawea) and to hear the stories they shared. It seems so long ago now that you danced with the Lemhi Shoshone under Idaho’s stars, and straddled a source of the Missouri and Columbia Rivers on top of the Great Divide. All the laughter, campfires, and new friendships shared deep in the wilderness - will not be soon forgotten You can embark on a “trip of a lifetime.” Take a look. you can sense the “fortiegue” of the men’s “excessive labours,” pulling and dragging their canoes upriver, barefoot over the pebbly shallows. This might explain why Hugh McNeal later thanked “ his God that he had lived to bestride the mighty & heretofore deemed endless Missouri.” Today, we now know the Missouri River is the longest river in North America, at 2,341 river miles. (That could be why too!) At a small distance ahead, at the Jefferson River, Sacajawea (Sacagawea) recognized this landscape was where she was abducted and taken to North Dakota, during a Minataree raid, five years earlier. Expedition members John Colter and John Potts returned to this spot in 1809 and were attacked by the Blackfeet. Potts was killed. Colter returns tonight, at sunset, to tell you how he escaped. Your first evening ends with the moon rising in the distance, and Allen reciting the Nez Perce creation story. You will visit its birthmark, the Heart of the Monster, on the last full day of your tour. Names flow like rivers: Clark named a pretty, clear stream in central Montana “the Judieths River,” after his cousin Julia Hancock, which he would later marry. Lewis named a shallow, muddy stream in central Montana “the Maria’s River,” after his cousin. Lewis never married. Clark would name the river you will travel on the next five days “the Lewis River.” The Lemhi Shoshone called it “Agipah,” meaning big fish water. 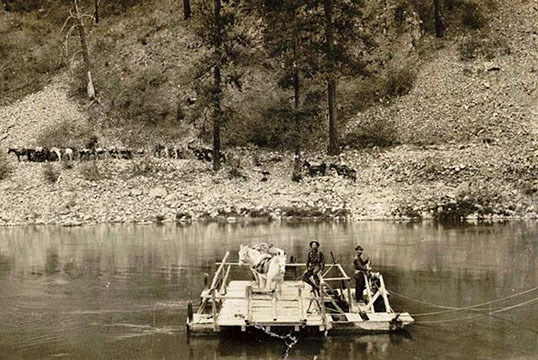 The Nez Perce called it “Na-so-koos” meaning Chinook salmon water. Many believe the “River of No Return” received its name on August 23, 1805, when Clark determined it was not suitable to venture by canoe. Instead, this river received its name during the late 1800s, when early pioneers built wooden skows to float their supplies from town to their homesteads along the river. Once home, the strong current didn’t allow them to return back, so they burnt their wooden skows for fuel, to heat their homes. In 1964, after eight years of hard work and a final vote of 373/1 in the House, and 73/12 in the Senate, the National Wilderness System Act was born, protecting 9 million acres of national land to date. 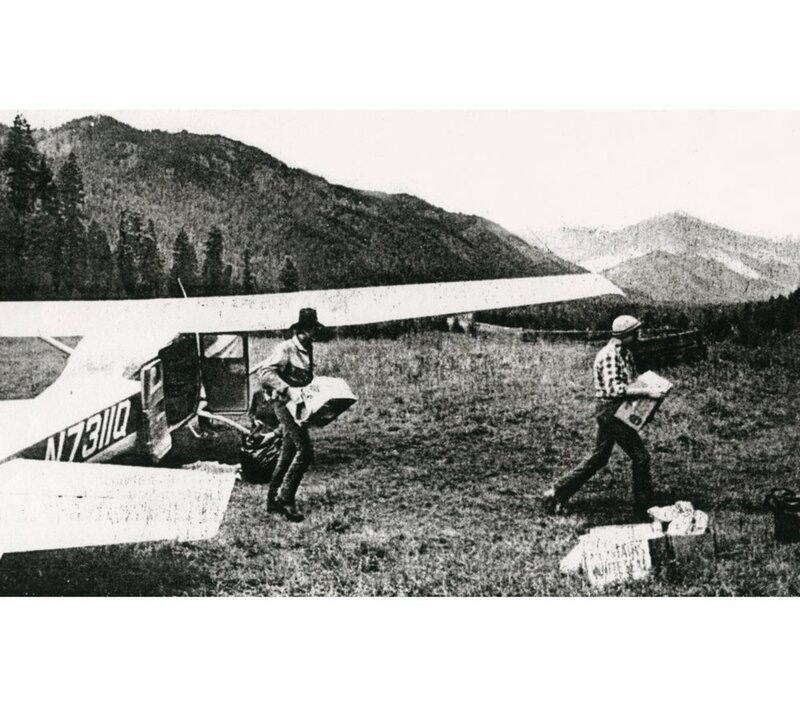 In 1980, 2.4 M acres in Idaho became the largest wilderness area in the lower 48. In 1984, to honor Senator Frank Church’s hard labors procurring and protecting millions of primitive acres, in the U. S., and in the state of Idaho, the State of Idaho added his name to the the river and became “The Frank Church River or No Return Wilderness Area.” Some people simply call the river “the Frank.” Adjacent to the Selway Bitterroot Wilderness to the north, and the Gospel Hump Wilderness to the south, the area you will float through, rich in history and geology, wildlife and beauty, adds up to 4.3 million acres of protected wilderness, nearly half of the total (9 M acres) of all the designated wilderness in the United States. Your chance of seeing wildlife, especially while floating in your water vessel just doubled. 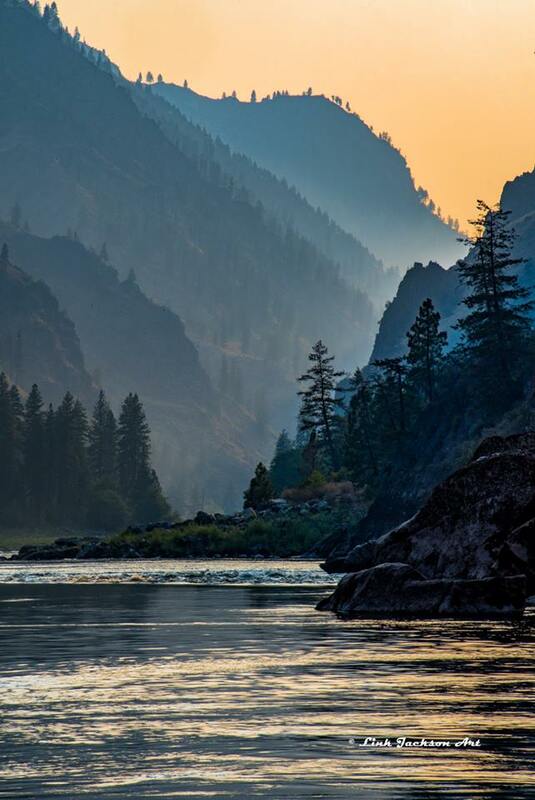 The second deepest river canyon in North America, and the longest free-flowing river in one state, the Frank Church River of No Return and the wilderness area it flows through is “the Gem State’s” greatest gems! Outfitters like to call this area “The Heart of Idaho!” Names, like rivers, keep flowing over time. Take a tour into this one-of-a-kind destination, where residents call home “eden,” where one hard working senator protected it from being destroyed, and we gamble, unlike one of its names, you will probably return again, and again. - Just ask one of our guides, how many years they’ve been on the river. Pioneers OF “the Backcountry” What makes this unique land quite interesting is human’s interactation with it. Begining with the Native Americans, and then the European explorers who soon followed. The Gold Rush brought dreamers, then the remote river canyons hid some renigades from the law. The laws of the wilderness act do not allow motors but they granfathered in a few jetboat operations and small aircraft. Only three river rafting companies are allowed to launch each day, and they are limited to 24 guests in their party. A few private floating parties are allowed each summer, awarded to a lucky winner by a lottery system. Owner’s can not be limited to accessing their land. Floating past old homesteads, you invision the lives of a few characters that have been made famous, or stop in to visit the new. They are eager to see and visit with you, or smile as you float on by. And thanks to the federal protections, this landscape remains untammed, nature still rules, and the river still runs downhill. As inhabitants - wild or human, come and go through the ages, some stay but most glide on by. The Bitterroots, the Lower Salmon River Canyon, the Clearwater and the Lochsa Rivers were once inhabited only by the Nez Perce. Your first stop after debarking from “the river,” will be to stop at an overlook depicting a battle that started the War of 1877 at Whitebird Hill. Allen will explain the battle, and how more adept at crossing the the Lower Salmon during high water (and with children), the Nez Perce crossed the river several times and outran the whitemen. Tonight, enjoy dinner and music performed by Marcos Dominquez at the edge of the Clearwater river. On to the birthmark of the Nez Perce Creation story, the Heart of the Monster, before a winding, scenic drive takes you to another fork of three rivers. This time in Idaho, the Clearwater, Selway and Lochsa Rivers meet. You’ll also visit Lewis and Clark’s Canoe Camp, and Long Camp (where they spent nearly a month) and hear more from Allen about the interaction of these two cultures. 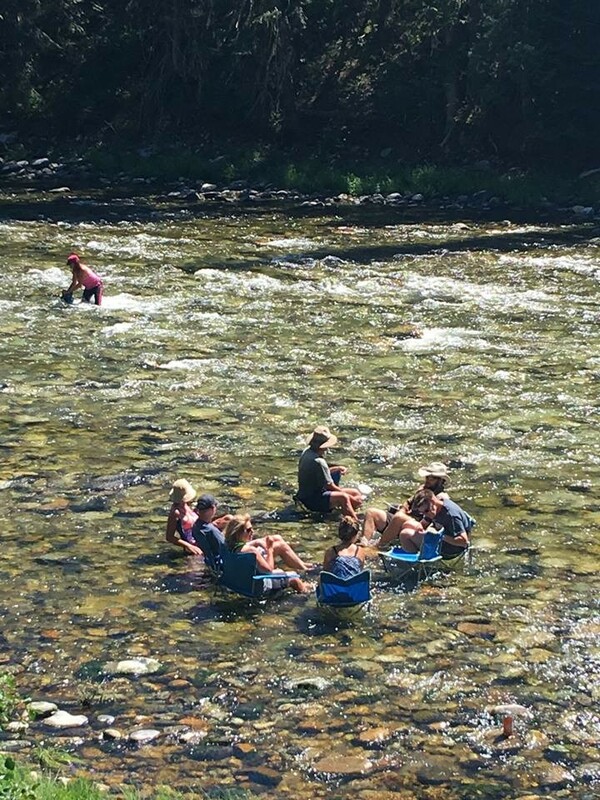 On to enjoy a summer’s dip in one of the most beautiful, pristine, summer rivers in Idaho. (And we are not just talking about the fresh guacamole to enjoy) Here you will find a huge beach remote enough to offer low to no other traffic, but its on your path to your evening lodge. You’ll hear the clear water as it glides over rocks landing into deep pools. The most beautiful scene you are happy to be a party to. On to Lochsa Lodge and relaxation in the Lochsa River before celebrating a wonder-filled week, and saying goodbye to new friends. Thank you for joining us on an Odyssey Tours adventure. Where ever your next venture takes you we hope all your travels are safe.